A work of sociological commentary, the film tells a story from the future, set in a dystopian world where individuality and love are forbidden, but two citizens dare to rebel. An artistic triumph, the film promised an exciting future for the first-time director. Living in a homogenous world where conformity is the rule, THX 1138 is a normal, unquestioning citizen. But when he stops taking his mandatory drugs, his perception begins to change. 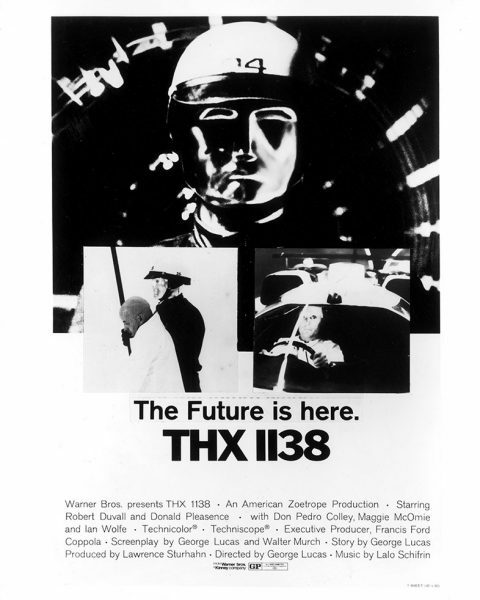 THX 1138 soon falls in love and goes on the run. Work hard, increase production, prevent accidents, and be happy.